Big things are happening in downtown Cape Coral right now, and we’re not just talking about the recent city ordinance that allows for bars in the South Cape Entertainment District to stay open until 4am. These days, it’s hard to think about Cape Coral without the Bimini Basin Project coming to mind, an idea for development in downtown Cape Coral that could change the entire future of the city. The Bimini Basin is an area currently located in and around Cape Coral’s own Four Freedoms Park, a popular hang-out for both residents and tourists alike. Backers of the prospected development would like to see the Basin become Southwest Florida’s prime waterfront entertainment hotspot – world class dining options, shopping, live entertainment, and a trendy nightlife scene would be just a few of the attractions drawing visitors to the area. The Bimini Basin Project, along with the city ordinance to allow bars in South Cape to stay open till 4am, could change the way Cape Coral is viewed amongst its neighbors and draw tens of thousands to the area each season. This could be huge for the local economy, and businesses that are already booming in the Cape are only going to see more expansion and success. What perhaps makes the Bimini Project so special in Cape Coral, is that its design and conception truly feels like it was brought about by the Cape Coral community. Community members were given a voice in the project, and along with a group of University of South Florida graduate students, six original designs were conceived. 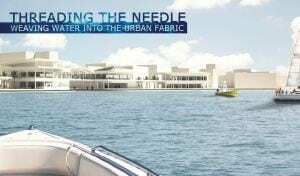 After being narrowed down to a final design, the Bimini Basin Project is officially underway, and it’s true to the vision of some of Cape Coral’s most loyal residents. While the Bimini Basin Project has certainly stimulated the Cape Coral Community and much of Southwest Florida, the city is also hoping to stimulate the local economy as well. Not only will the area bring locals and seasonal residents out and about in their own city, but it’ll put Cape Coral on the map for snowbirds and vacationers as far away as Canada and even Europe. When you think of the “big names” in Florida you probably think Miami, Orlando, Tampa, and Fort Myers. With all the recent developments and upcoming projects underway in Cape Coral, it won’t be long before our city is at the very top of that list.